The CMMB Vision-UW EE Center on Satellite Multimedia and Connected Vehicles was created to foster the research to advance satellite networking, multimedia, smart connected vehicles and artificial intelligence/machine learning technologies. 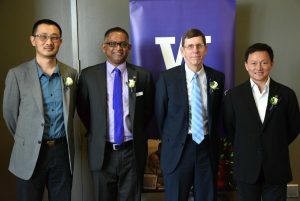 CMMB Vision (CMMB) awarded the UW Dept. of Electrical Engineering a $1.5 million gift to build the new research center. The partnership forges cutting-edge solutions that enable the delivery of information to people around the world at unprecedented speed, scale, and low cost, building the next-generation of smart cars and ubiquitous connectivity. As self-driving cars become more of a reality, CMMB focuses on delivering data to the vehicles with unprecedented speed, scale, low-cost and universal connectivity. The company uses next-generation satellite and broadcast technologies to deliver the broadband data, multimedia data and big data to vehicles and mobile devices. The company focuses on delivering this data with unprecedented speed, scale, low-cost and universal connectivity. Many developing nations do not have the infrastructure to support current broadcasting technologies. According to Mr. Wong, mobile devices can become that less expensive option to connect resource-poor communities. The center launches at a time when smart cities research is flourishing. In Fall 2015, UW EE signed a “Smart Cities” agreement with leaders from the School of Electrical Information and Electrical Engineering at Shanghai Jiao Tong University (SJTU). The agreement formalized the commitment of both universities to work together on smart cities research, teaching and collaboration. Within the past year, UW EE researchers have promoted the development of smart cities around the country through the development of smart posters and clothing, the redesign of spectrum wireless usage and the tackling of urban mobility challenges in the Cities of Seattle and Nashville. 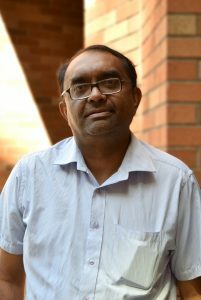 Professor Sumit Roy serves as the Executive Director for the CMMB-UW EE Center and also leads the Satellite Networking thrust. A second thrust on Multimedia Vehicular Systems is also underway under the direction of Prof. Jenq-Neng Hwang. 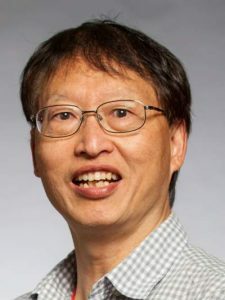 Dr. Guanbin Xing, a UW EE alum, has been appointed as a Research Scientist to support the centers R&D missions.